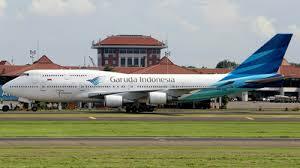 The airline of Indonesia, Garuda has confirmed it will be cutting more routes and renegotiating contracts after posting losses of $213.4 million net last year. Airline executives said on Monday they will cut at least 10 routes this year, on top of the 17 routes axed last year as the carrier struggles to stem its losses. Chief Executive Pahala Mansury declined to name the affected routes at a meeting on Monday, saying only that Denpasar in Bali to Chengdu in China is among several of those under review for possible termination over the next few months. The Denpasar - Chengdu service is less than a year old after only starting in May last year. "We are restructuring the routes, including by reviewing low-performing routes," Pahala Mansury confirmed at the press conference. However, despite the heavy losses and the axing of some routes the airline will also continue to look at potential new services, "We will build more connections to Bali, one of our main hubs," Mansury said. 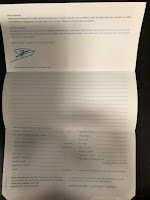 Other possible new routes Garuda are considering are services to Hanoi in Vietnam and Manila in the Philippines, however, there is doubt over new routes to the USA and Russia that had previously been considered. Whilst Garuda's operating revenues had risen by 8% last year to $4.2 billion, increases in the cost of fuel and other costs eroded profits and tightening competition in the region had a negative effect. The airline also had to pay a $138.3 million penalty related to the government's tax amnesty in the first half of last year, which had a great impact on the carriers bottom line.